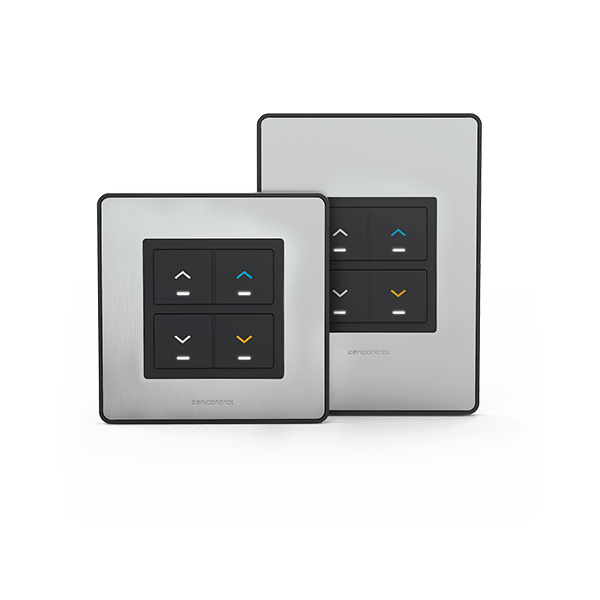 With six different customisable colour face plates, zencontrol provides a large range of switch options which will work for any design. 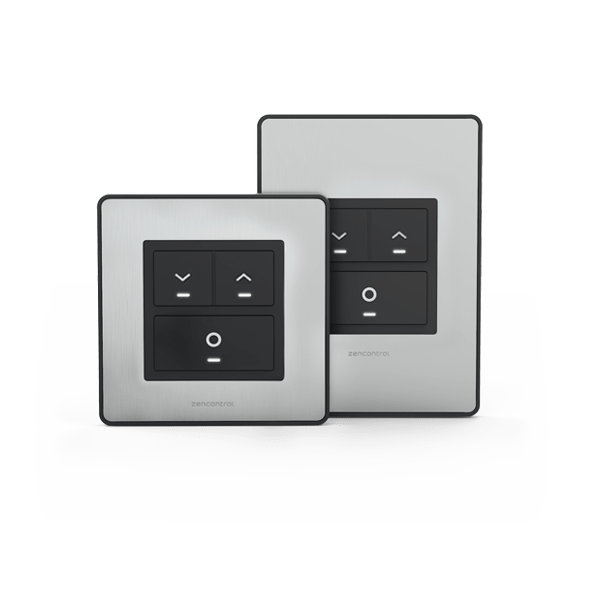 A fully customisable push button plate. 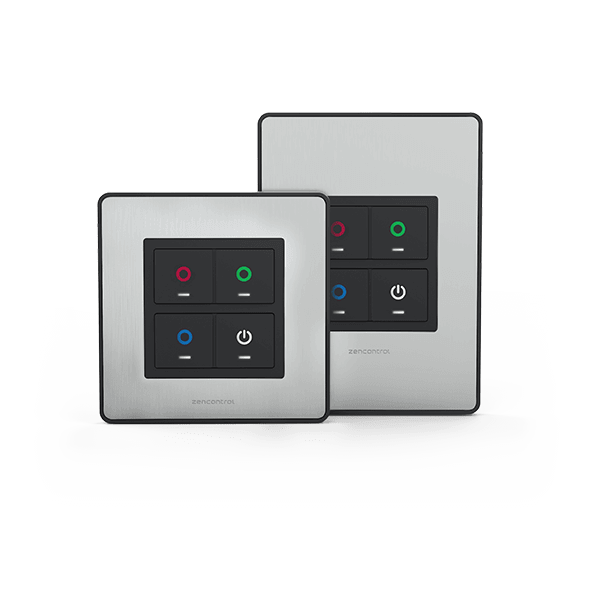 With 1-4 configurable buttons and changeable faceplate finishes. The zencontrol scenesets are powered directly from the DALI line. 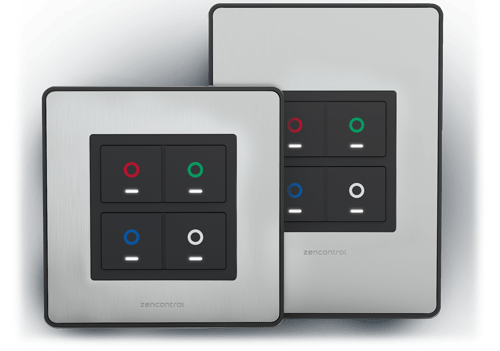 This removes the requirement for additional power supplies making installation easier. 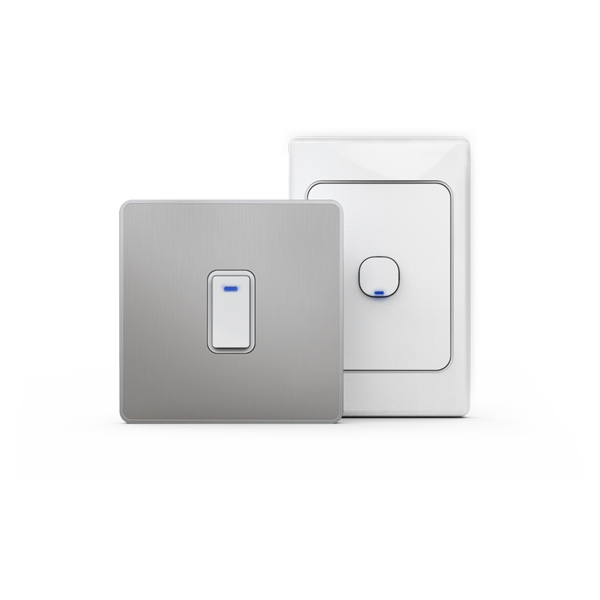 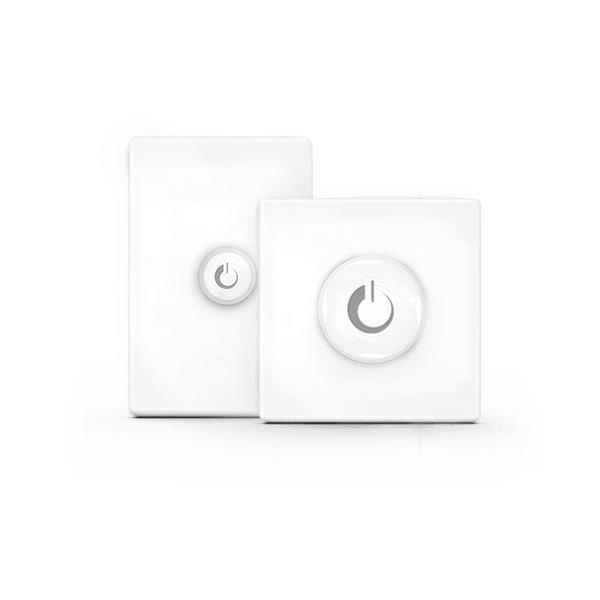 Check out our range of switches, including sceneset switches.